Pfft..hahah. Sorry when I typed Pizza Rolls, the line from Limp Bizkit’s Rollin’ kept playing in my head hahaha. I don’t even remember the last time I listened to this song before I typed that word. Ah this is my brain on vacation. My assignments are gone for now and I’m enjoying the pretend freedom hahaha. 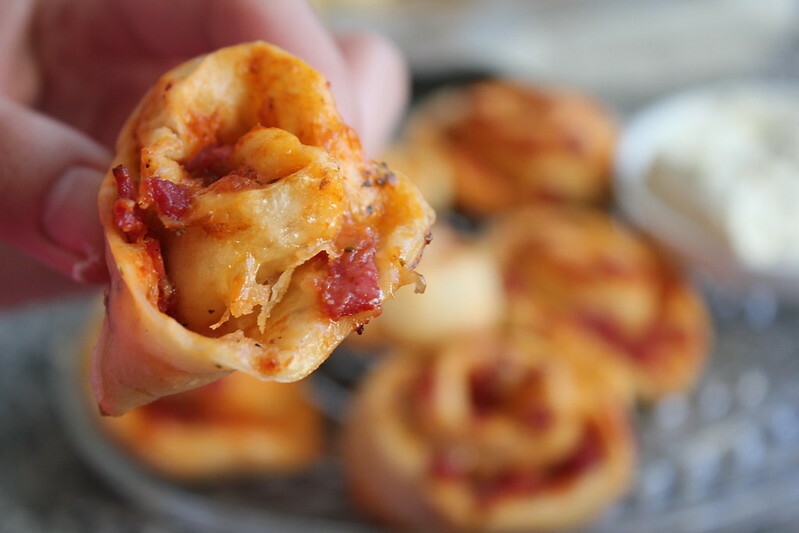 These pizza rolls are fun to make (you also get some upper body workout hahah…)and awesome for snacks or packed lunch. It sort of reminds me of the pizza rolls in Sals’ Pizza. Nom nom nom. You can probably roll these better than I did. Hahah. Let’s just say I was aiming for cute, rustic cute. Oh yeah and use a sharp knife. I was hacking at these with a bit of a blunt one…tsk. When your sister’s hungry it doesn’t make a difference whether you rolled or cut nicely though. Hahaa..
It’s fun to eat with a little dip. I made one with sour cream and my go-to herbs and mustard mix. Seriously that jar of awesomeness is magic. I think I use it on almost anything. Want more flavour on pasta? Bam. Bland omelette? Bam. Black coffee? Bam. Okay maybe not that one. Dip and bite, dip and bite. Ohhh yeah. Tell me you don’t want this. If you haven’t noticed my last few posts, including these, were from SortedFood. Yes I have a major crush on them..ahem I mean their food. Okay okay. The guys and their food. What am I supposed to do? They’re cute and make delicious recipes hahaha. 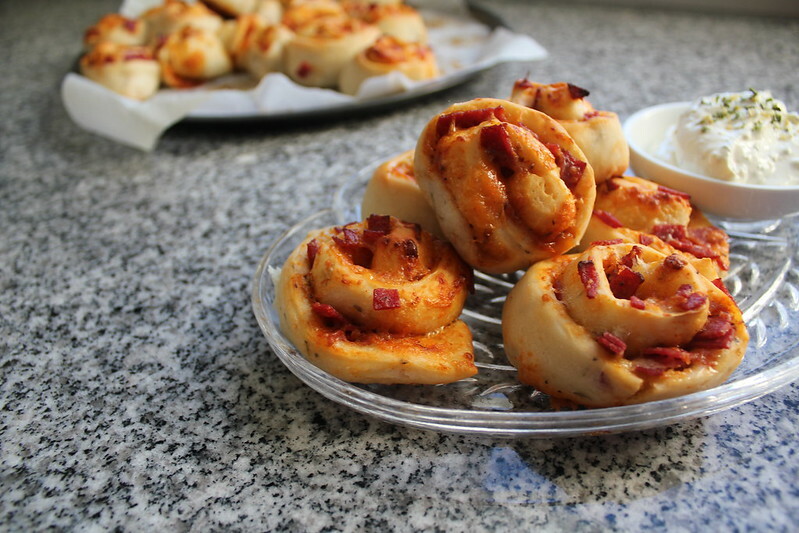 My pizza rolls are from SortedFood’s pepperoni pizza swirls . I didn’t mean to name them differently. It’s just that I was thinking of sweet scrolls while editing the photos. Oh well. I kinda cheated on their recipe since I used ready-made pizza sauce…hehe..it was on sale, y’know. – Dissolve the yeast in the warm water by stirring. – Place the flour, oil and salt into a mixing bowl. Then pour in the yeast liquid and water. 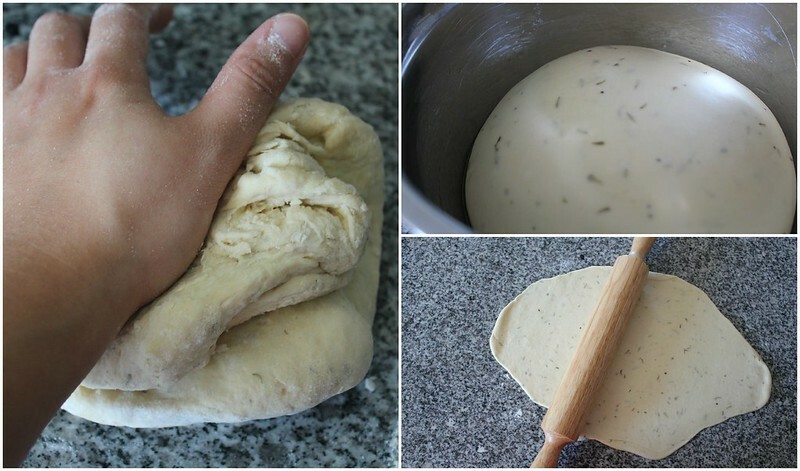 – Lightly grease a large bowl with oil and place the dough in it. Cover with a tea towel or cling wrap and leave it to rest and prove for an hour in a dry, warm place. Or leave overnight in the fridge. 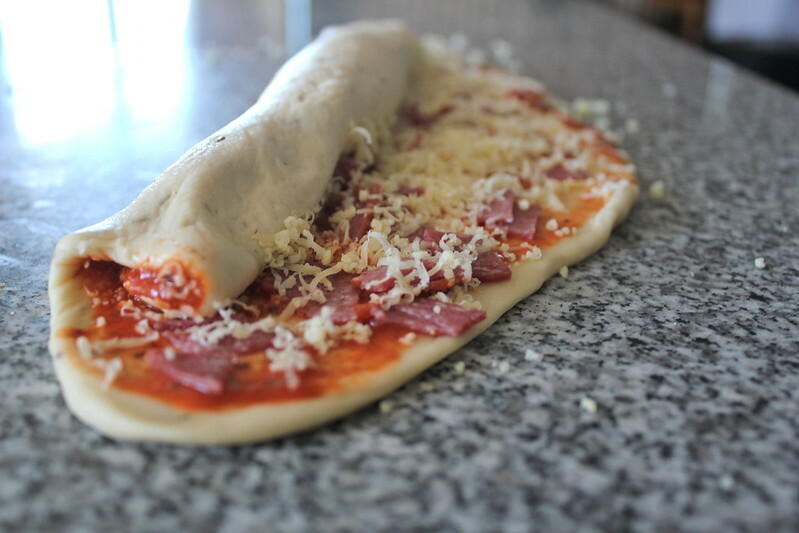 – Roll the dough out into a rectangle (as close as it will get), on a floured surface, as thin as possible. 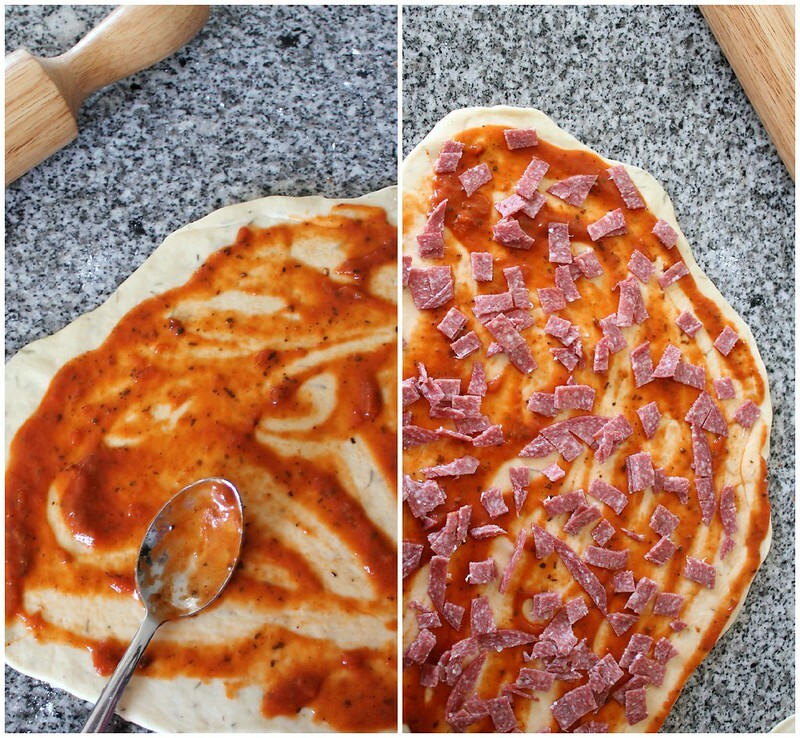 – Spread the pizza sauce onto the dough and scatter with pepperoni/salami pieces. Then grate plenty of cheese over them. 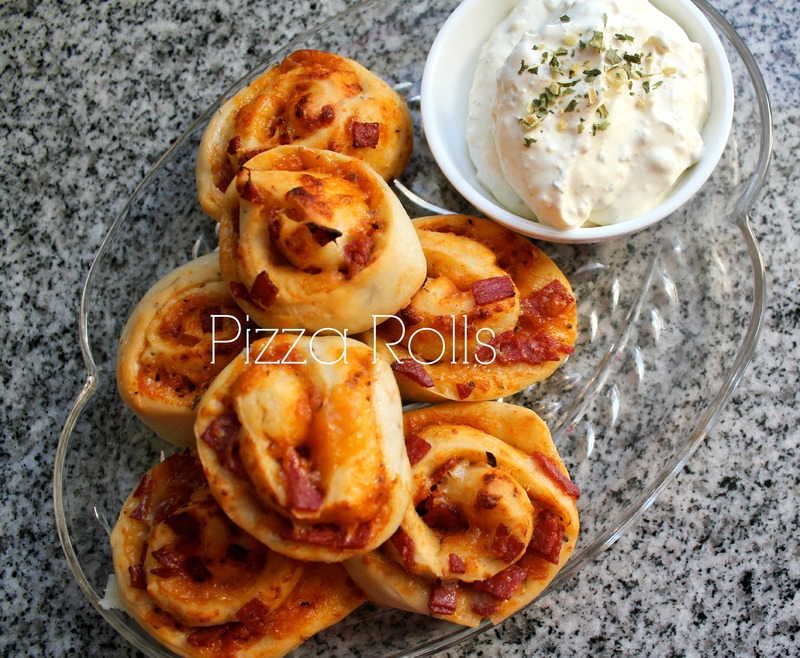 – Roll the dough up into a tight sausage made up of plenty of spiral layers. 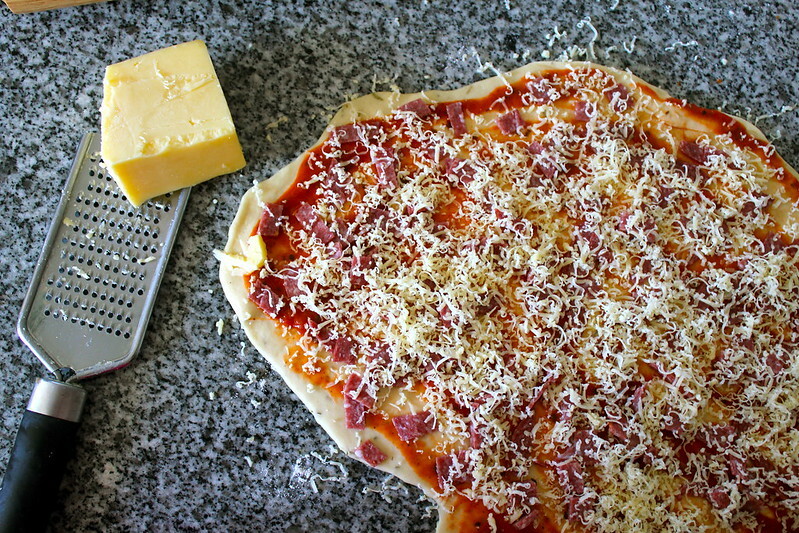 – Cut across the dough to form slices approx.2cm thick. 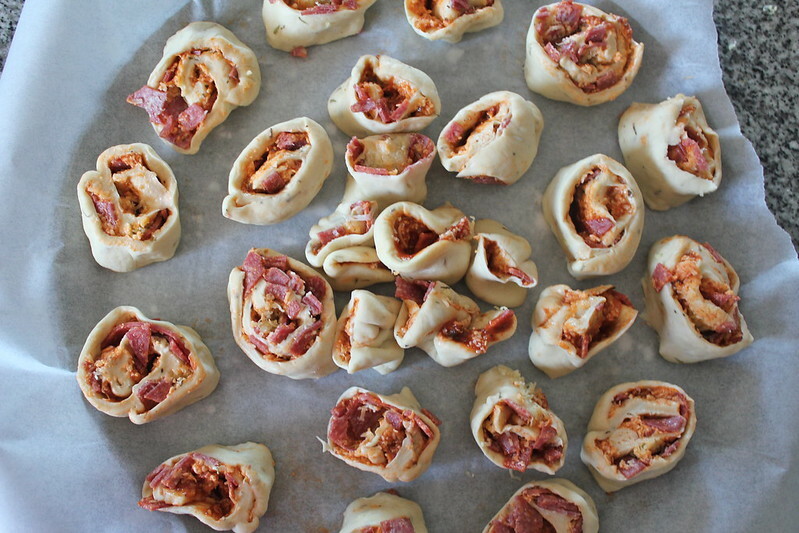 – Lay them on a baking tray, well spaced apart and leave for another 30 minutes in a warm place to prove again. – Preheat an oven to 200°C. 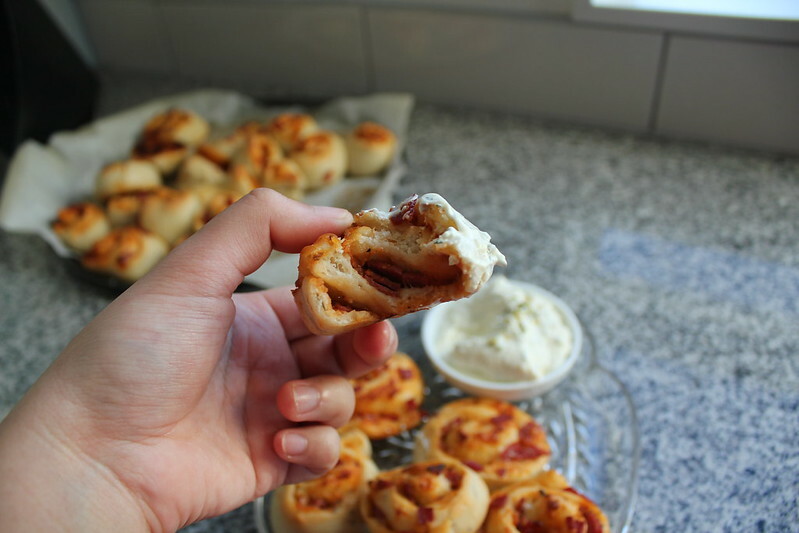 – Bake the pizza rolls for 15 minutes until golden. 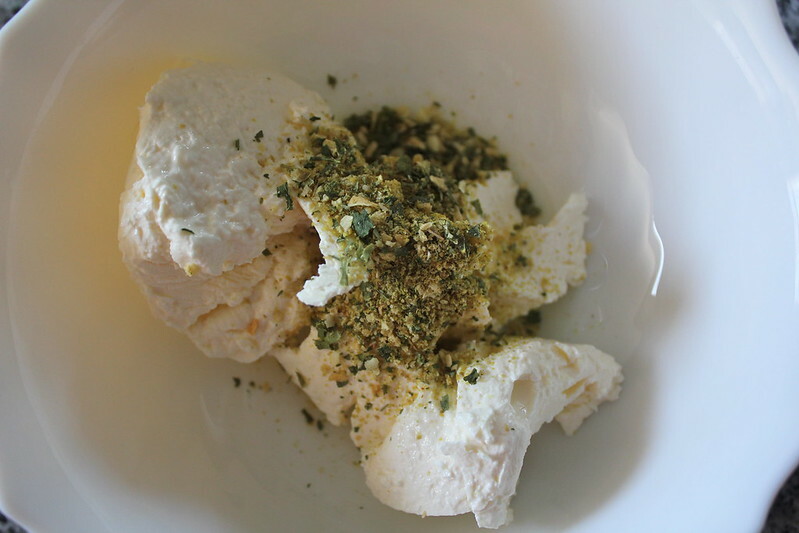 – Mix the sour cream and herb mix to make the dip. 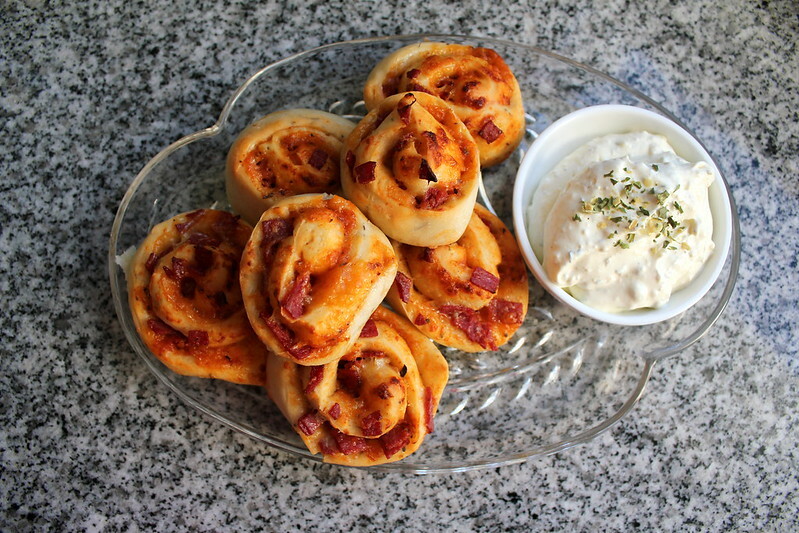 – Serve pizza rolls with the dip. 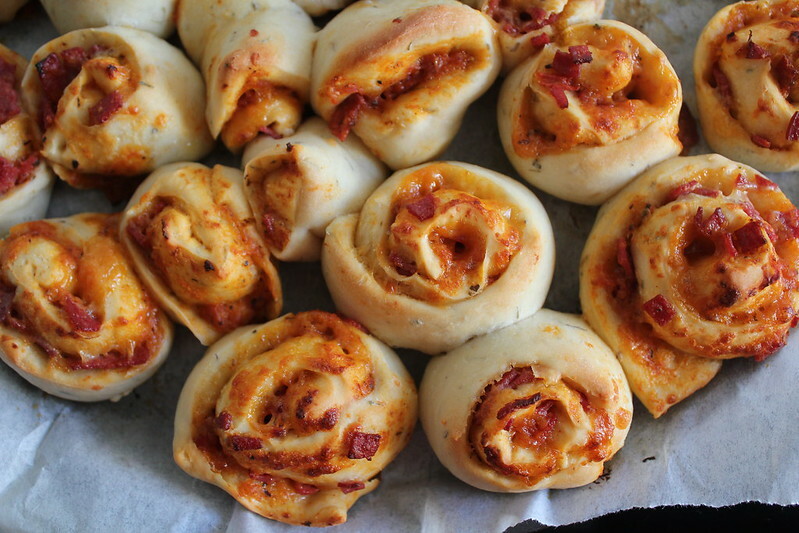 I make something similar to this, but I bake the rolls in a dish with seasoned cream poured over. It’s a hit and my go-to when we’re braaiing (BBQ’ing)! 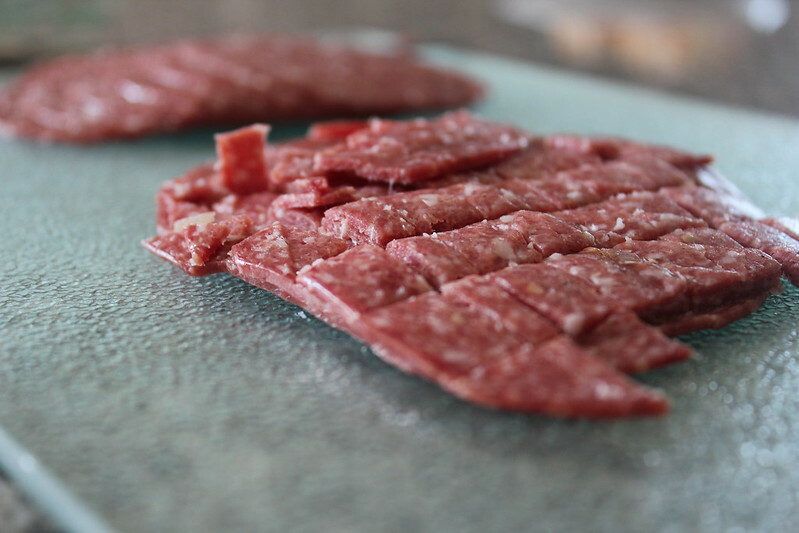 I LOVE salami too! I have eaten whole bags in a single sitting and wanted more!